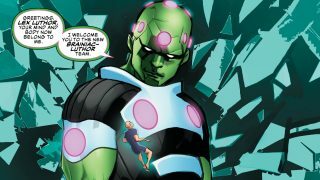 The Legion of Doom takes center stage in this week’s Justice League #13. 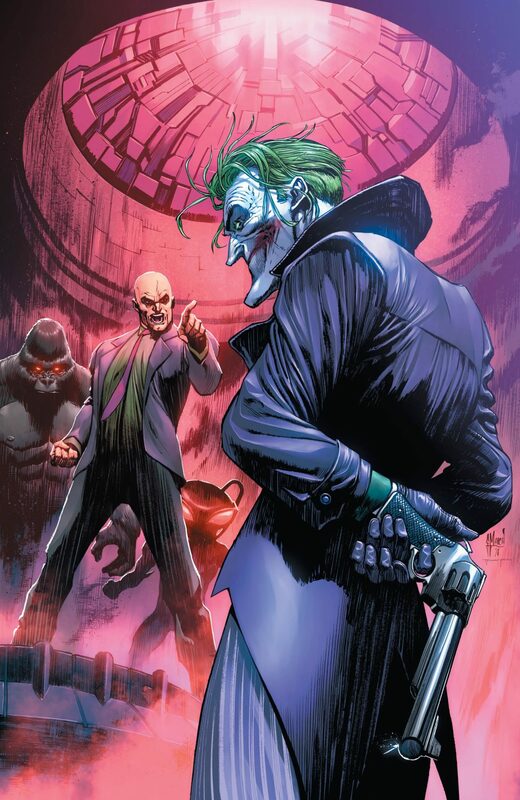 Regrouping after the events of “Drowned Earth”, the Legion of Doom faces a new threat – the Joker. 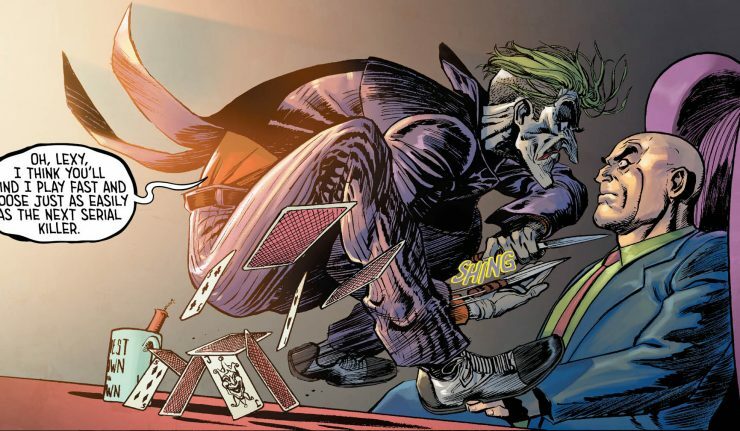 The Clown Prince of Crime has finally gone rogue, a well-anticipated plot point for a character who is notorious for not playing well with others. 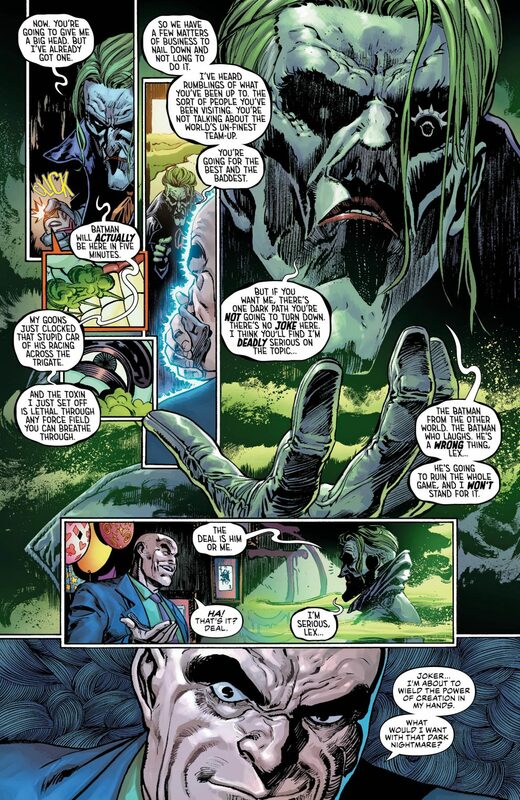 The Joker’s defection comes at a pretty crucial time for the team. 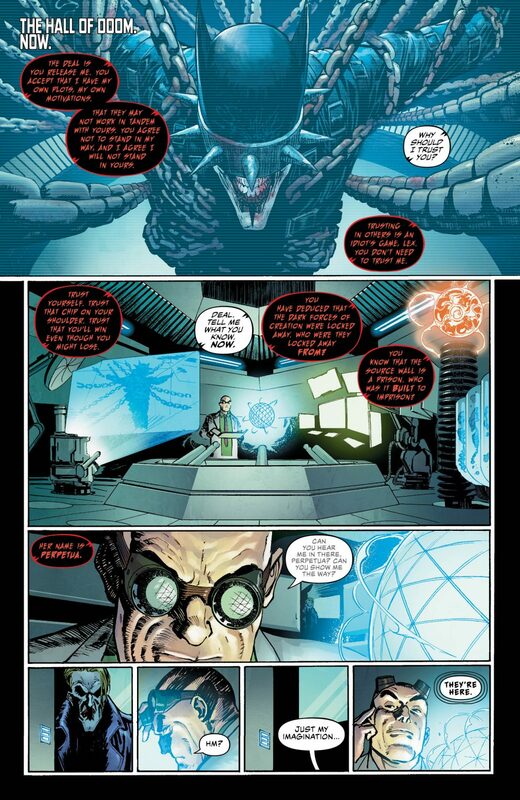 Black Manta left the Legion during “Drowned Earth” so the team finds itself in the middle of a recruitment drive during the Joker’s rebellion. The issue opens with a flashback. 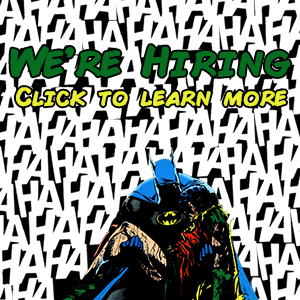 Luthor is in the process of recruiting the Joker, who agrees to join, but has a stipulation: Luthor must not contact The Batman Who Laughs (see Metal for those who are unfamiliar with the character). 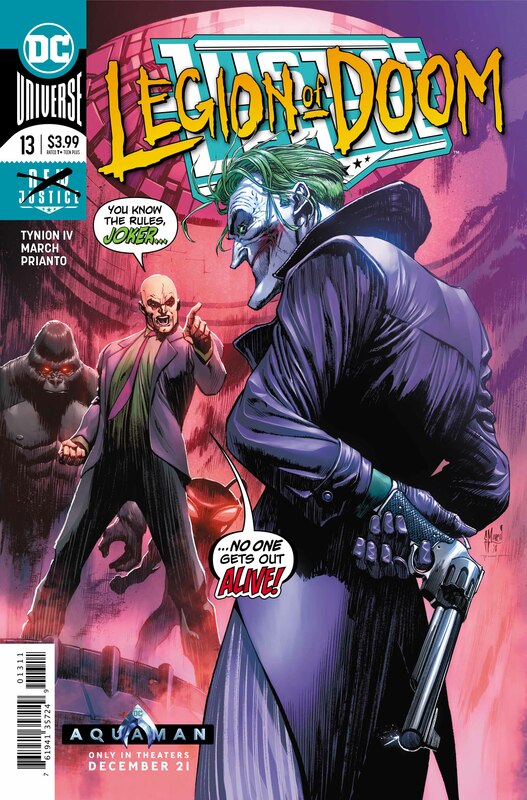 So flash forward to Justice League #8 – when Luthor reveals that The Batman Who Laughs is chained up in the basement of the Legion’s base, needless to say, the Joker is furious. 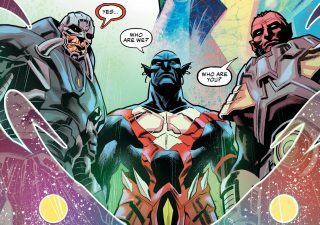 Justice League #13 picks up the threads seeded in issue #8. 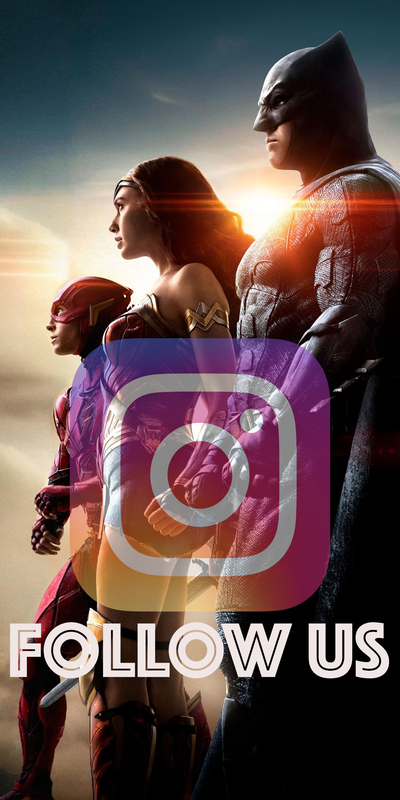 It’s interesting to see how Tynion and Snyder are dividing the writing duties for Justice League. 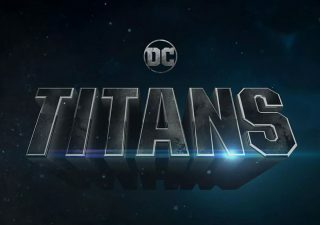 While Snyder seems responsible for penning the main storyline, every few issues Tynion authors a Legion of Doom centered issue. These Legion interludes are presented as consecutive parts in a lager, separate – but related – story. Although the aforementioned pattern was established early in the series, it was inconsistent during “Drowned Earth”. Tynion took the reins a few times throughout the crossover, scripting Justice League #12, which I felt was the weakest issue in the arc. 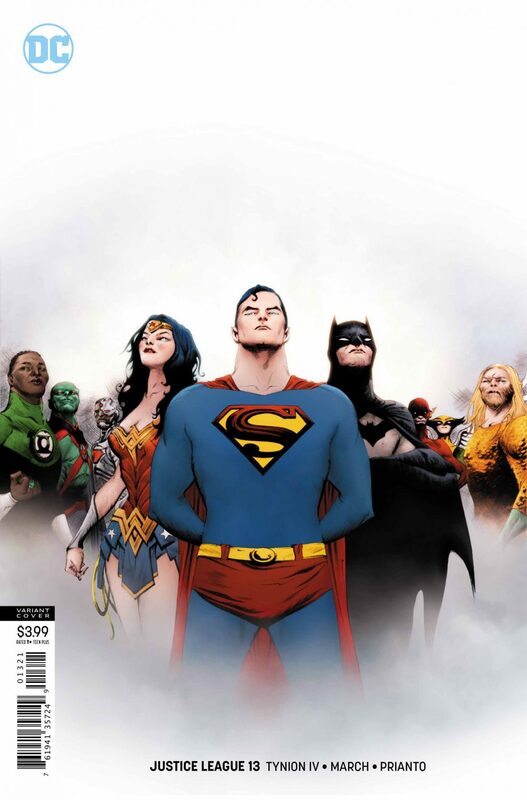 Justice League #13 is a much stronger issue. 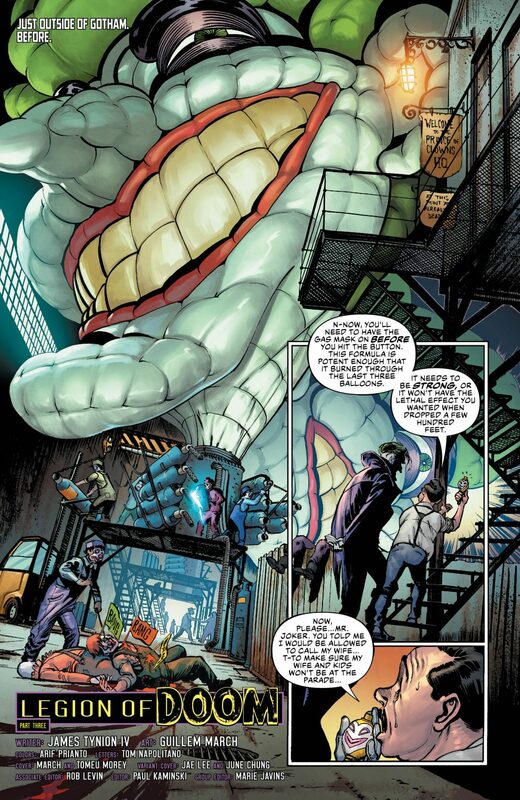 Justice League #13 has a delightfully tumultuous sensibility, as Tynion does a great job writing the Joker. 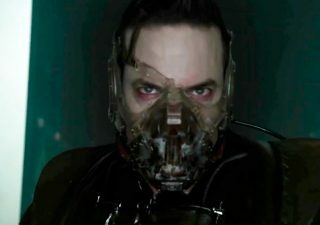 While the the character’s defection might have been expected, its execution was brilliant. 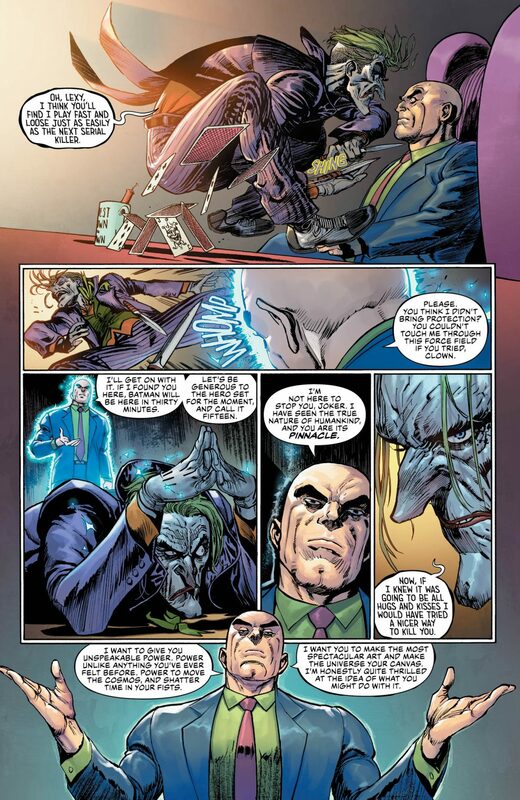 While the Joker is known as an agent of chaos, Tynion highlights the character’s ability to carry out a well-organized plan. 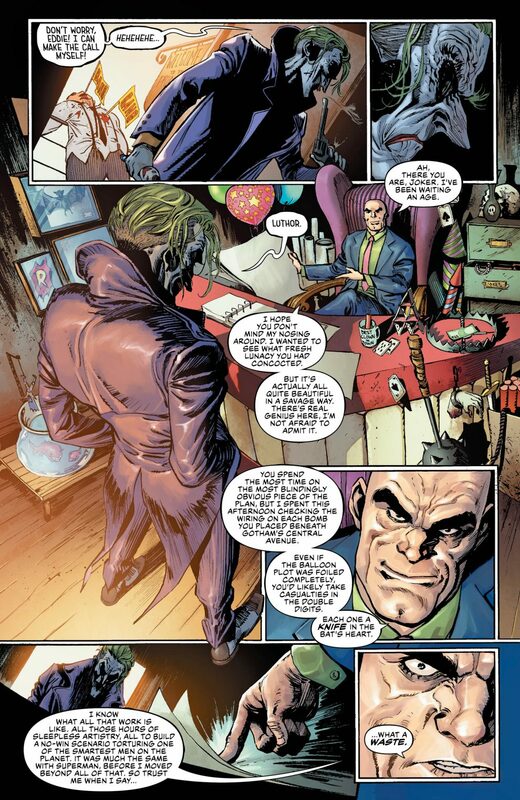 The Joker foils Luthor at every turn. The defeat is humiliating, and Tynion makes that palpable. One of the best aspects of the “Legion of Doom” interludes is the various A-List artists featured, such as Doug Mahnke and Mikel Janin. 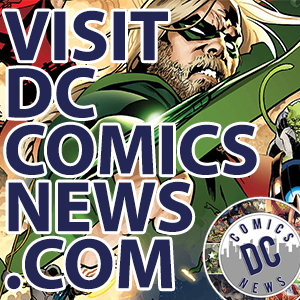 Justice League #13 features fan favorite Guillem March. March’s work is unique, featuring stark angles and fine detail – especially with characters’ faces. His Joker is grotesque; the elongated nose, and deranged smile. It’s unnerving to see the character on the page, which only adds to Tynion’s characterization. Also, March’s panels are kinetic, reinforcing every characters’ actions. This issue’s splash page is stunning, as Luthor dodges flying buzz-saws and explosions. Such composition does a great job in highlighting the intensity of this action-packed issue. Justice League #13 is a nice change of pace. Although “Drowned Earth” was fairly well executed, the multiple storylines were taxing and at times convoluted. 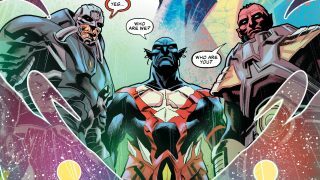 Justice League #13 is fairly straightforward in its composition and execution. Tynion’s script is fun and fresh. March’s art does a great job capturing the tone of the issue. Verdict: read this one.